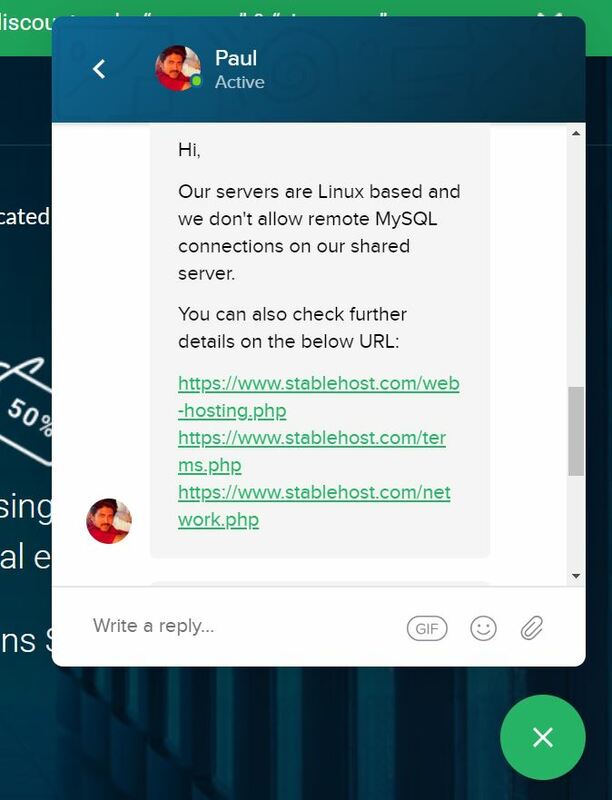 Stablehost Review 2019: Is Stablehost a Good Hosting? StableHost is a well-experienced hosting provider that offers high-quality hosting solutions with a wide range of features at affordable prices. You’ll get all the necessary hosting requirements whether you need it for business or personal use. Out of Arizona, U.S.A., StableHost was launched back in 2009 and has ever since been providing hosting solutions to individuals, small, companies, and large corporations. Their services include shared hosting, reseller hosting, dedicated servers, VPS hosting, and domain registration. The website is in English, by default, but also available in German, Spanish, Swedish, and Vietnamese. All plans come ready for easy installation of all popular applications in a single click such as WordPress, Joomla, Drupal, and PrestaShop, thanks to the built-in Softaculous installer. R1 Soft daily backups comes as standard with all plans to keep all the information on your website secure, even though it’s always recommended to keep track of the backups yourself for extra assurance. cPanel also is available within all plans to help you manage all aspects of your website easily without requiring any prior technical, web designing, or hosting knowledge. There are three different cheap shared hosting price plans provided by StableHost: Starter, Pro, and Platinum depending on the size of your website. These packages differ in the number of websites, MySQL connections, and a few others. On the plus side, StableHost competes with other vendors by offering a 45-day money-back guarantee instead of just 15 or 30 days. It also accepts both credit cards and PayPal. SupportHost, sadly, falls short in terms of customer support. However, the Knowledgebase section is good and includes many useful articles and tutorials. Even though there are several communication communication channels such as live chat, support ticket, email, and phone. I was very frustrated when I contacted the live chat team because I had several questions and all the agent did was throw a bunch of links, then terminated the chat session abruptly which is extremely rude and unprofessional. True to its name, StableHost is able to provide a well-balanced price-to-quality ratio. It operates a global network of servers and very open about its locations giving you a great deal of the overall expected performance of the websites it hosts. The only thing, in my opinion, they need to improve greatly is the customer support. Buy affordable hosting solutions at StableHost. Wondering how Stablehost stacks up against other Web Hosting companies? Enter any other Web Hosting company and we will give you a side-by-side comparison.